mids represent the earth, the upper being the abode of living men, the under one the abode of the dead. 144; xxiii, opposite p. 388; and xxvi, pp. 84-92. C. H. W. JOHNS, M.A., Lrrr.D. eminently to all teachers of ancient literatures. that religion or philosophy or science to exist. essay with generous interest and appreciation. were published on both sides of the Atlantic. cellaneous papers pertinent to the general theme. British Museum, London; Rev. Professor R. H.
Ph.D., S.T.D., University, Munich; ProfessorE. University Park, Colorado; Professor A. V. W.
Ph.D., University of Pennsylvania; Rev. 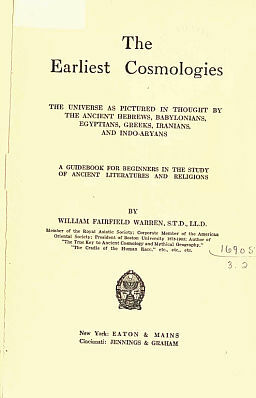 C. H.
India Institute, Oxford; Professor G. C. C.
Excavations, Cairo, Egypt; Professor H. G.
Mitchell, Ph.D., S.T.D., Boston; Professor W.
in the universe than any we on earth can reach. Ever sacredly cherished shall be their memory. Boston University. W. F. W.